A new three-part dramatic television experience, Mrs. Wilson on Masterpiece, is set to begin airing on Rhode Island PBS. The series follows Alison Wilson, who is grieving the recent death of her beloved husband, when suddenly a woman claiming to be the real Mrs. Wilson shows up on her doorstep. Rhode Island PBS proudly premieres Mrs. Wilson on Friday, April 12 at 9 p.m. The series continues on Friday, April 19 with episodes two and three airing at 9 p.m. and 10 p.m. In Mrs. Wilson, Alison believes she leads the perfect life, but everything is not what it seems. This thrilling narrative takes inspiration from the real-life memoir of Alison Wilson and her fascinating family history. The series takes place over a period of time in Mrs. Wilson’s life, set in London in the 1940s and ‘60s and India in the 1930s, as she comes to terms with the truth about her husband. Initially, Alison is determined to prove the validity of her marriage, but instead unlocks a world of disturbing secrets. The series premiere gives viewers a glimpse into the once-idyllic story of Mr. and Mrs. Wilson’s life. Alec and Alison Wilson were married after meeting in the service during World War II, and the pair live devotedly for two decades. They raise two sons and lead a quiet existence. However, when Alec dies, the truth begins to unravel. The first episode of Mrs. Wilson premieres on Friday, April 11 at 9 p.m. The second episode sees Alison track down Dorothy, Alec’s partner in espionage years ago when he worked in India. Like Alison, she too was deceived by the charming spy and his convincing stories. Alison soon begins to piece together the truth about the man she thought she knew. The second episode of Mrs. Wilson airs on Friday, April 19 at 9 p.m. The third and final installment of Mrs. Wilson reveals a bombshell confession that changes everything. But is Alec’s handler in the secret service telling the truth? Alison is uncertain about the past and seeking peace for her future, but there is one final surprise in store for her. 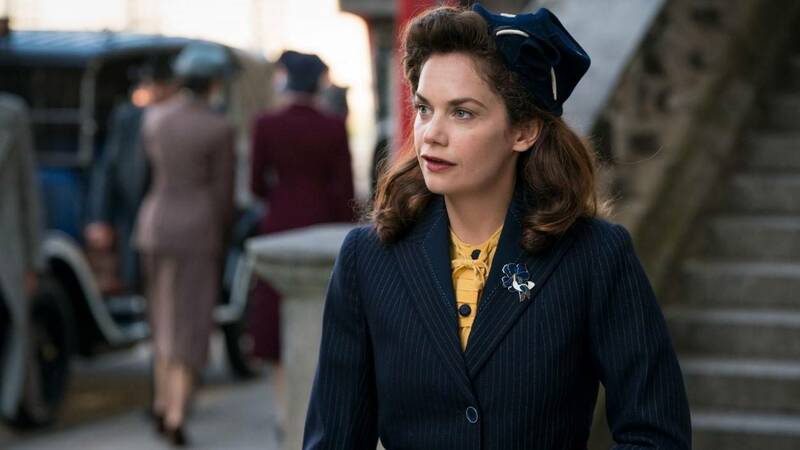 The third episode of Mrs. Wilson airs on Friday, April 19 at 10 p.m.
Mrs. Wilson is sure to enthrall viewers as English actress, Ruth Wilson (Jane Eyre), stars in the turbulent true history of her own grandmother’s life. A story marred by secrets and deception, Mrs. Wilson demonstrates what it means to be resilient in times of darkness. Read more and preview video here.